Chemical engineering intern Stephen Richardson has spent his summer at Prairie State collecting and analyzing data to determine the best use of resources. Richardson has taken daily limestone samples from the ball mill product and classifiers. He has also been working with Julie Nguyen on the ammonia piping mechanical integrity study. Richardson has utilized particle size analyzers, performed feasibility studies, and repaired isolation valves. 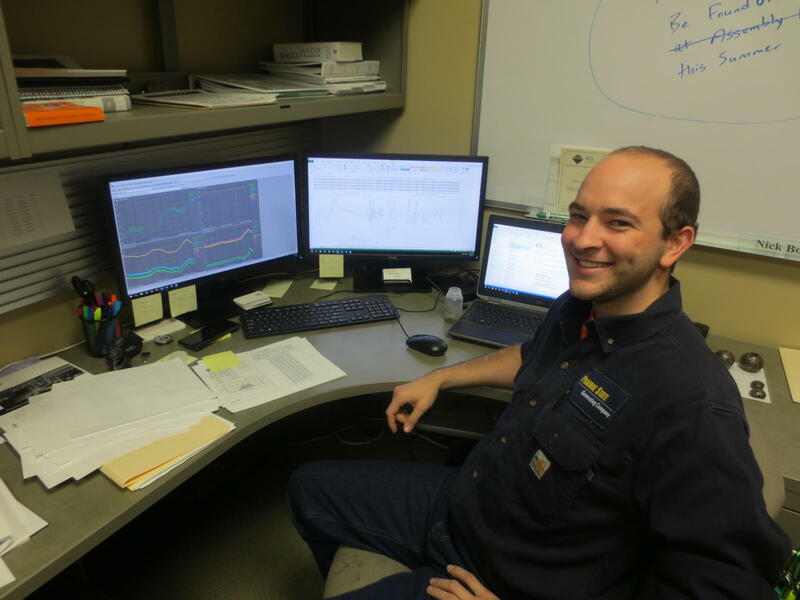 This internship has Richardson leaning towards a future career in the power generation industry. Specifically, he has enjoyed the Air Quality Control System department at Prairie State. He has learned about scrubber parts, sulfite binding, and gypsum. Richardson has also learned about the leading indicators of sulfite binding and how to deal with any issues, should they arise. Richardson is considering a career in the petrochemical industry, but he would like to learn more about the power generation industry. He hopes to intern with Prairie State again next summer.